Brad Scott is a professional Mixed Martial Arts fighter who has become a star of the sport in the UK and beyond. 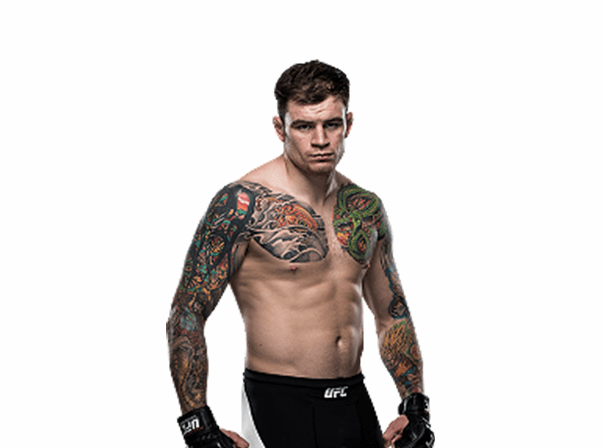 The English competitor has taken part in The Ultimate Fighter: The Smashes, and has been a competitor since 2009 so has lots of experience in the sport and makes a popular guest speaker, ambassador for MMA and all related brands. Born in Bath, Brad is known as Bear and has fought all over the UK. He initially got involved in the sport in 2007 when he was in training for the Royal Marines and soon fell in love so much so that he started taking semi-pro fights early on in his training. He lost only one of these fights and soon went on a winning streak of six consecutive successful fights and all victories came by stoppage in the form of 3 submissions and 3 knockouts. In 2012 he entered a tournament that saw him fighting Australian fighters and in the semi final rounds Scott scored a fine win against Benny Alloway that saw him win the Fight of the Season award. He then went on to fight valiantly in the final but sadly just came up short after a fine display. Scott made his UFC debut on 15 December 2012 at UFC on FX 6 and has gone on to great success. As such for anyone interested in MMA Bradley Scott is a perfect person to come and talk at your event, demonstrate his skills or talk about what it’s like to compete at the top.